Nicholas James Vujicic is an Australian Christian evangelist and motivational speaker born with tetra-amelia syndrome, a rare disorder characterized by the absence of arms and legs. He is one of the seven known individuals planet-wide who live with the syndrome. 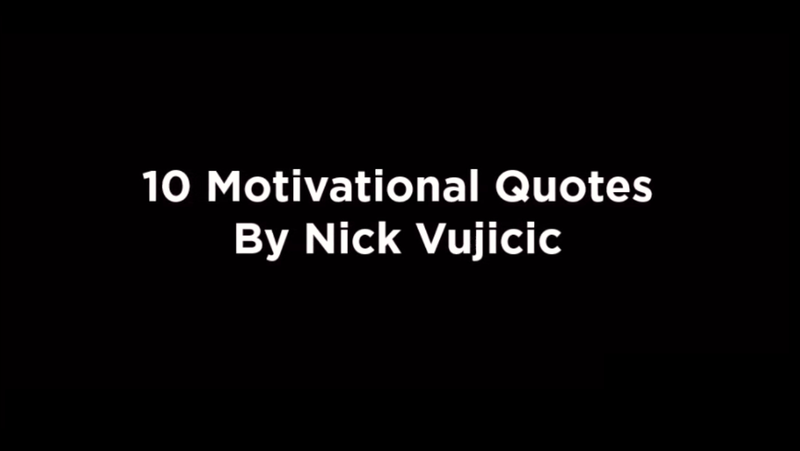 Here are 10 Nick Vujicic quotes to give you a new perspective on life and fire up the desire to live without limits.